Easter has long had strong ties to the Star Wars franchise for me, and every year I re-watch the original trilogy, usually accompanied by a re-read of a lot of the fiction from that point in the timeline. I am, of course, a massive Star Wars fan, and it was many Easters ago that I discovered the expanded universe of novels and comics. So my big plans will be, as per, a re-watch of the trilogy, interspersed with a lot of comics. Aw, yeah! I’ve mentioned it before, but A New Hope is my favourite of all the movies. For a long time it was Return of the Jedi, but the original movie supplanted that a few years back now, mainly because it’s such a truly wonderful story. So anyway. 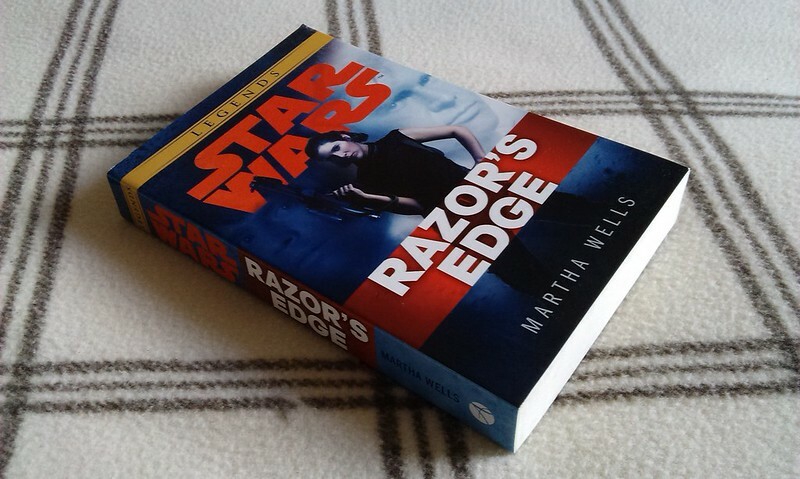 A couple of weeks ago, I re-read the Dark Times saga, then last week I read the novel Razor’s Edge, by Martha Wells. This is actually a pretty good story! A lot of the later Del Rey novels have tended to be quite bogged down in a lot of internal struggles, and rarely feel like the swashbuckling space opera of the movies, but while this had some odd moments, it was nevertheless a good read. Set between IV and V, it’s a story that largely focuses on Princess Leia, though Han and, to an extent Luke both have supporting roles to play. It was released in 2013, originally part of a trilogy focusing on each of the Big Three. The third novel hadn’t yet been written when Lucasfilm announced the news that all EU was non-canon, which meant that books one and two, now under the Legends banner, have become a duology. The third novel, Heir to the Jedi, is still going to happen, it’s just now “real”. But anyway. The story involves Leia’s encounter with some Alderaan survivors who have turned pirate, and some intriguing ideas come up about the fate of such folks. The bulk of the tale takes place at a pirate clearinghouse, which is an interesting-enough location, but I felt like it dragged on a bit longer than I’d’ve liked, if I’m honest, and towards the end I was fed up with reading endless descriptions of people crawling about through one tunnel or another. But it has a very interesting plot, and even while we obviously know what happens to the Big Three because they show up in Empire, it’s still a really good story. Also – and this is a large-ish spoiler, kids! – there’s a subplot with an Imperial deep-cover spy, who turns out to be the obvious candidate, who we should have all suspected right from the start. Now, some effort is made to confuse the issue, such as never referring to his name until the reveal, etc, but I feel that having him be so obvious from the start is a really great example of mis-direction, as we’re led to believe it can’t possibly be the suspicious-looking one, because something far more clever must be going on, or whatever. When it was finally revealed to be the same person I thought near the beginning must be a spy, I was still pleasantly surprised! It’s just done really well, and I highly recommend you read this book if only to see how it plays out! The above amazing piece of artwork showcases the meeting of Leia and the Alderaanian renegades. Magali Villeneuve has done some incredible art for a lot of the card games from Fantasy Flight Games that I play: you can see more of her work at blogspot, and also follow her on twitter! 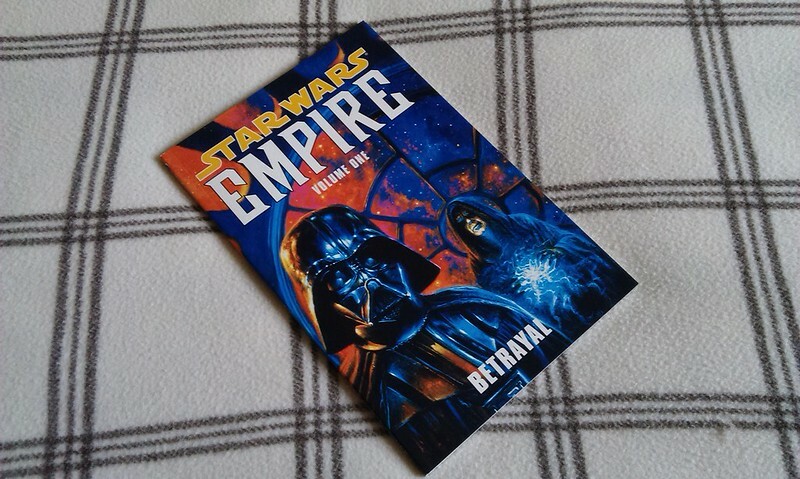 I’ve also started to read the Empire series again, as part of my celebration of Star Wars this Easter. Betrayal is another of the all-time greatest Star Wars comic stories ever told. It kicks off the Empire series with a political thriller that I cannot begin to rate highly enough! It’s one of these tales that came out in the summer following Attack of the Clones‘ release, and a lot of things tried to desperately tie-in to the prequels even when they weren’t necessarily set then. Anyway. This story is just superb, and I can highly recommend it to all and sundry! 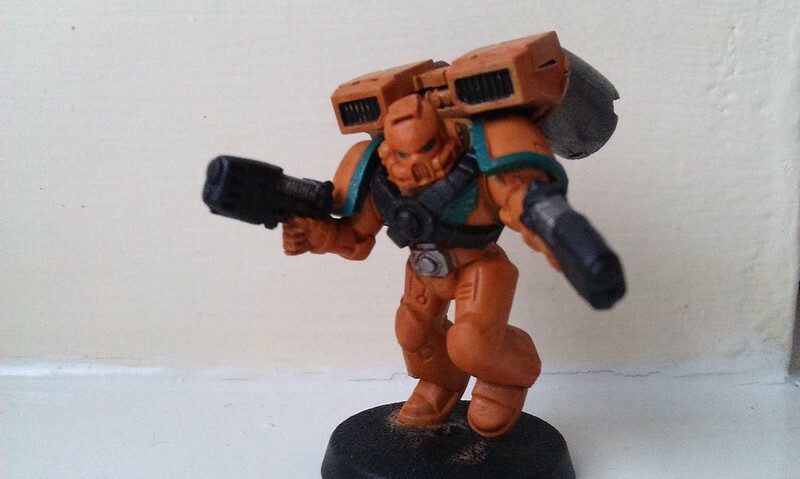 I’m hopefully going to do a blog devoted to the Empire series soon, so will write in more detail there. Stay tuned! In the midst of all this Star Wars, I also managed to get in a game of Shadows of Brimstone, you’ll be pleased to hear! I hadn’t had the chance to play this since New Year, so it was good to see it hit the table once more. I’m still a little disappointed by the minis (though, while they feel really fragile, they continue to surprise me at just how durable they are), but the map tiles are really quite stunning. 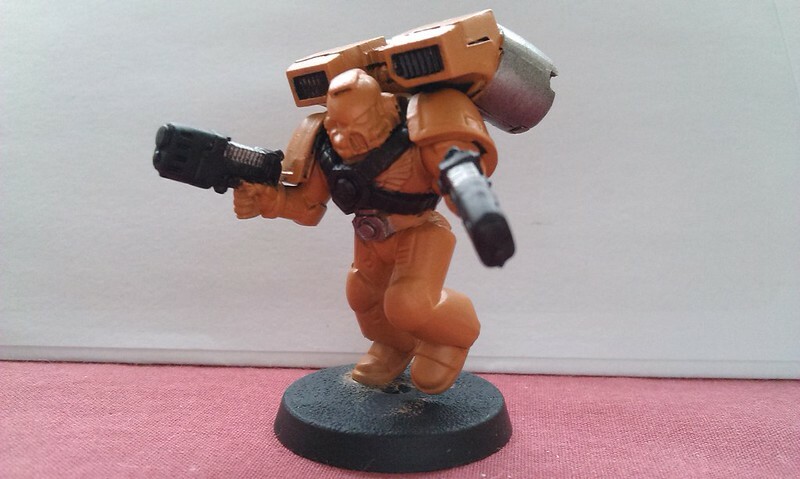 I didn’t manage to get to an Other World during this adventure, though it did end with a showdown with the Harbinger, who I was convinced would kill my two guys, but as it happened, a lot of critical hits took him out fairly quickly! I don’t feel like I’ve played it enough yet to talk about it in-depth in a game day blog, though it will be given the full treatment soon enough! Until then, you can read/see more about it on my blog, here, here and here! Speaking of games, have you guys seen this? The Tabletop RPG show is coming! Two months to go! Very exciting news, as I’m a huge lover of RPGing. What’s interesting, to me, is how the system purports to blend sci-fi and fantasy, which is something I usually really enjoy, though don’t remember watching Thundarr the Barbarian back in the day. A lot of the commenters on the youtube video mention Shadowrun and Warhammer 40k, though I’m hoping for something more like Pathfinder’s recent Iron Gods adventure path, or the Runebound’s Frozen Wastes. We shall see, I suppose! That’s my mini-update for now, anyway. Make sure to come back tomorrow for post #250, when I have something quite exciting to share with you!